Formed in Göteborg, Sweden, in 1993 by guitarist Oscar Dronjak. Early line-ups included members from In Flames and Dark Tranquillity, most notably Jesper Strömblad, who continued to write songs together with Oscar and singer Joacim Cans despite leaving before the first album was released, on Nuclear Blast Records. 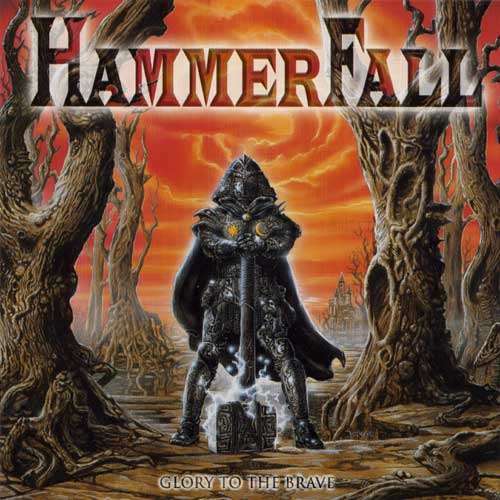 Glory To The Brave (1997) and Legacy Of Kings (1998) cemented the band as the pioneers of modern Eighties heavy metal. 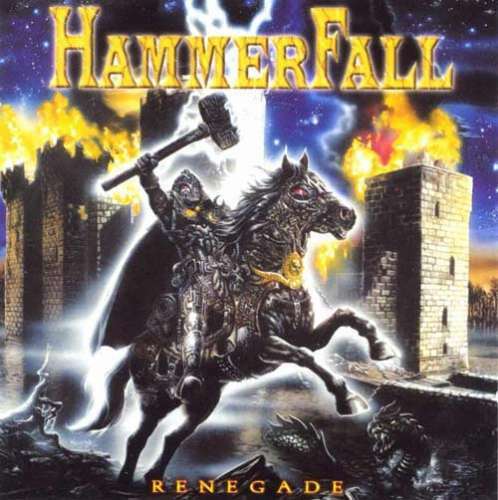 Often credited with bringing back the melodies and honesty in music, the world-wide crusade continued with Renegade (2000), an album which generated a breakthrough for HammerFall and metal music in general in the mainstream media in Sweden due to it reaching the #1 position on the charts. The recordings were completed in Nashville, TN, with the legendary Michael Wagener (Accept, Metallica, Alice Cooper, Skid Row) behind the wheel, and Renegade went on to be the band and label’s first certified gold album. 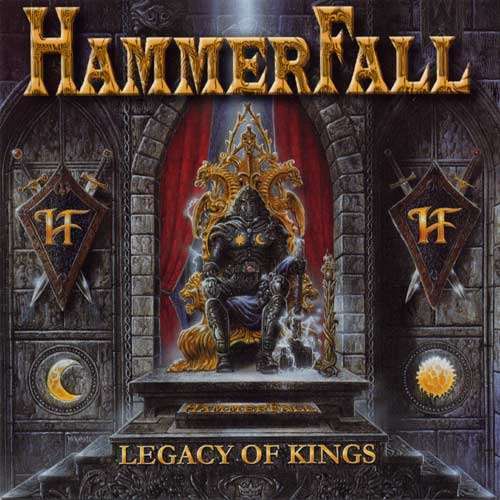 The line-up was now complete with drummer Anders Johansson, formerly of Rising Force fame, Stefan Elmgren on guitar and Magnus Rosén on bass guitar. The latter two joined HF before the release of the inaugural record, with Stefan even being a session player on Glory To The Brave. 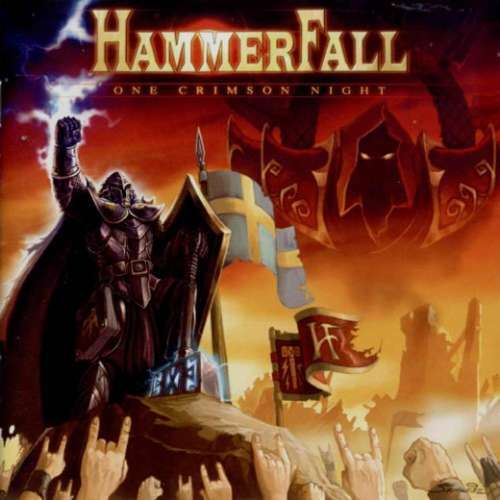 Crimson Thunder (2002) was next, followed by a live album and DVD - One Crimson Night (2003) - recorded in their home town in front of a capacity crowd. Fittingly, the band was greeted onstage with their second gold album for Crimson Thunder. 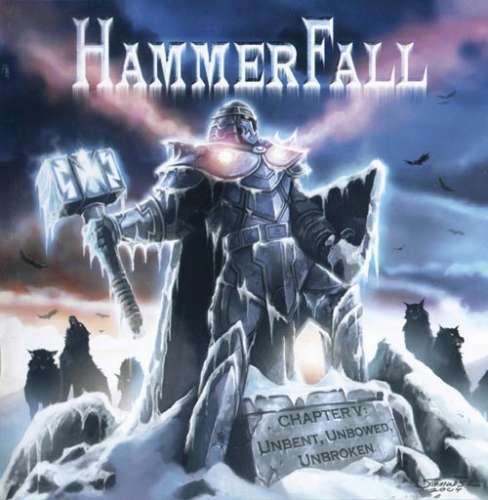 The fifth album, aptly titled Chapter V: Unbent, Unbowed, Unbroken (2005) further planted the name HammerFall in the minds of households in Sweden, as well as metal fans all over the world. The band's fourth world tour on as many albums was an even bigger success than before, headlining the U.S. for the first time (after supporting Death and Dio in 1998 and 2002 respectively). Two sportsrelated videos were recorded in 2006, a remake of “Hearts On Fire” for the Swedish Olympic Women's Curling Team and a brand new song called “The Fire Burns Forever”, specifically written for Kajsa Bergqvist and a couple of other Swedish track and field stars. 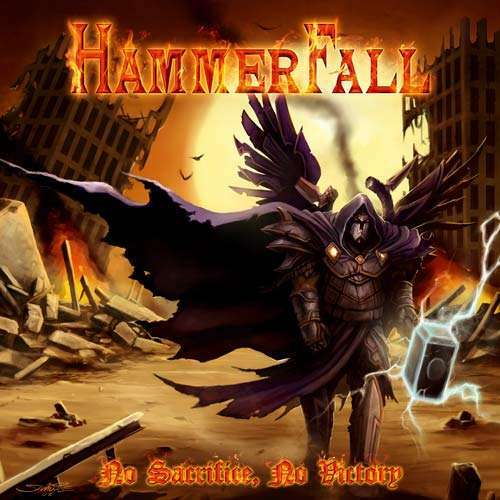 This culminated in a performance at the opening ceremony at the European Athletics Championships in August, bringing HammerFall into the home of 250 million people around the world. Threshold (2006) saw the light of day at the end of the year, and virtually the entire 2007 was spent on the road promoting it. Magnus Rosén left the band in March. Without skipping a beat, original basist Fredrik Larsson was brought back into the fold, elevating the musical side with his steady brilliance. 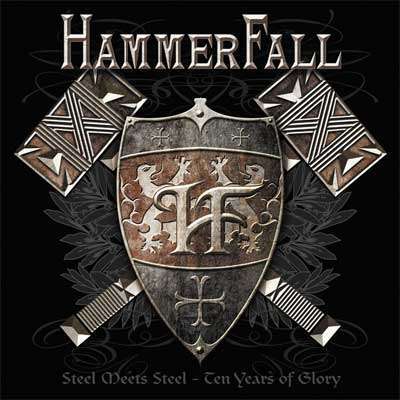 Celebrating its ten year anniversary as a record-releasing artist, HammerFall released Steel Meets Steel - Ten Years of Glory (2007). The album features two brand new tracks (one of which - “Last Man Standing” - is an irreplaceable staple in the live show to this day) a re-recording of an old classic plus some bonus material for the true fans. This "the new and improved" line-up went on to record another #1 on the Swedish chart as well as yet another gold certified record, in No Sacrifice, No Victory (2009), unleashing the single “Any Means Necessary” on the masses. A subsequent world tour, which spanned almost two years and covered the usual ground as well as the US, UK, Russia, the Ukraine and India. Sweden Rock Festival and Sonisphere in Sweden, Wacken Open Air and Rock Am Ring/Park in Germany, Metalfest in Czech Republic and Hungary were among the places visited during this long tour. 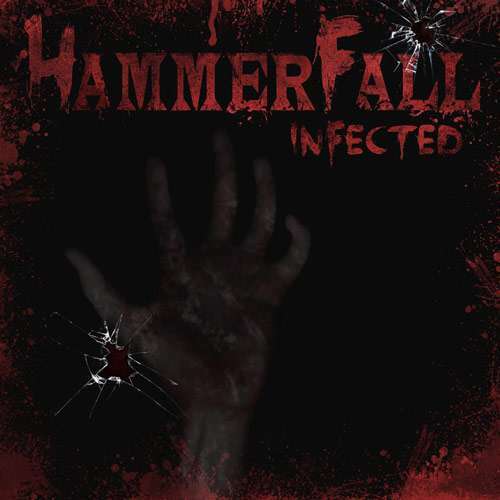 Infected (2011) was the next studio effort from the band, sounding both fresh and classic at the same time. Parts of the album was recorded in Nashville with Sixx:A.M. singer/producer James Michael at the helm. 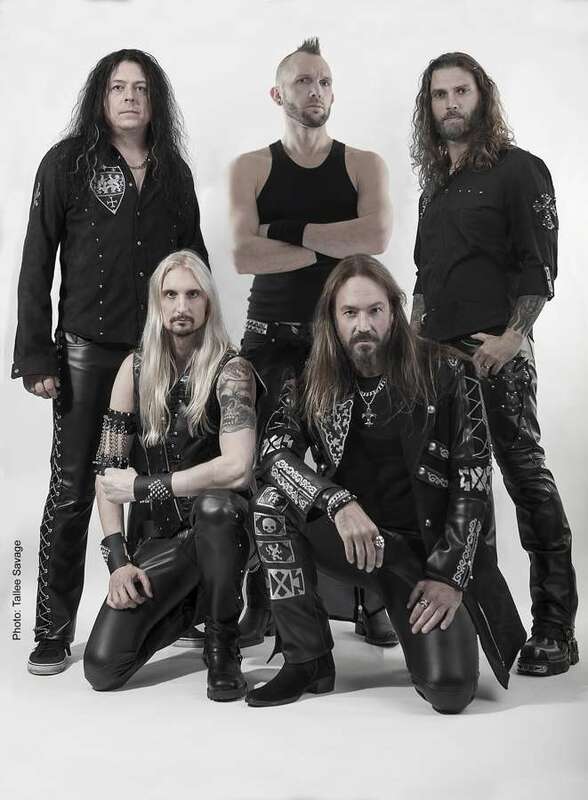 After another extensive touring period the five-some decided to take a sabbatical in 2013, but not before celebrating the 15-year anniversary of HammerFall with a huge summer concert at the legendary venue Dalhalla in Sweden. 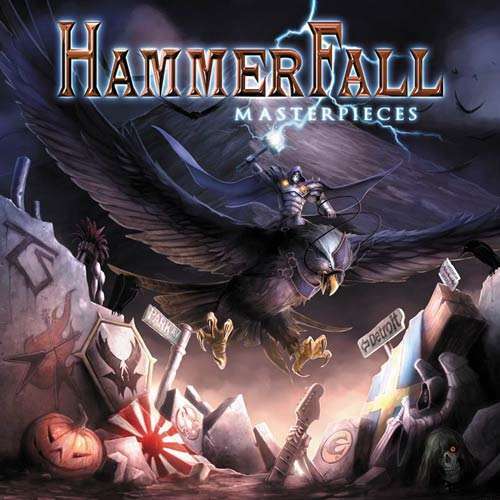 The massive show featured songs from every album as well as several guests from the band's past, and was recorded and released as the Gates Of Dalhalla (2012) DVD/Bluray a couple of months later. 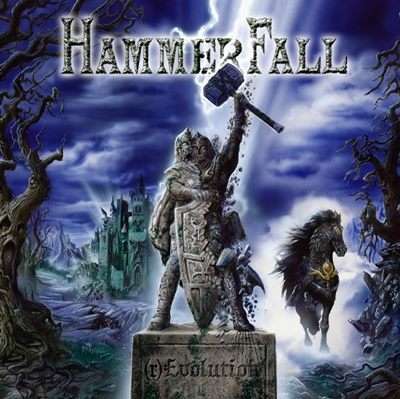 Following an 18-month break to recharge the batteries and recapture the energy that had been worn down over the years, HammerFall returned with a thunderous hammer smash entitled (r)Evolution (2014), accompanied by the singe “Bushido” and a very popular video for “Hector’s Hymn”. 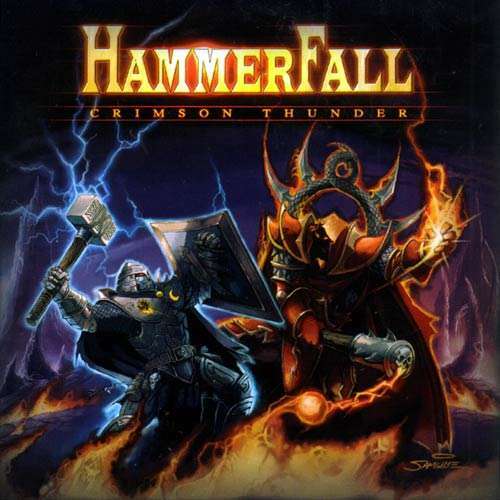 The album returned the band to the #1 position on the Swedish charts, and proved without a shadow of a doubt that HammerFall still was among the top forces in heavy metal music. Unfortunately, drummer Anders Johansson had decided it was time to leave right after the album release party at Liseberg in Göteborg, Sweden. Again, the band didn’t miss a step, as they enlisted the help of Pain drummer David Wallin to fill the void. The drumming style of David fits like a glove to the music of HammerFall, and he definitely raised the bar for the live shows with his youthful enthusiasm, invigorating the rest of the band in the process. Also, for the first six months of the World Wide Revolution, Fredrik was on parental leave. During this period, the bass was handled by none other than a returning Stefan Elmgren, much to the joy and elation of the fans. 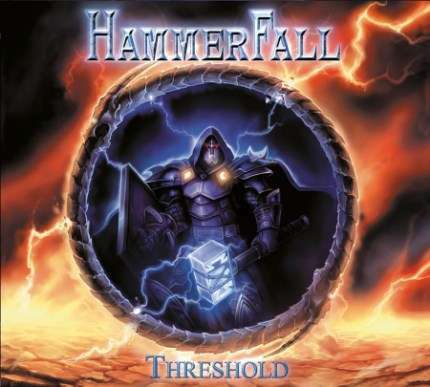 The triumphant European tour substantiated the fact that HammerFall was stronger than ever despite the member snafus, as almost half the shows were sold out, some even before the tour started. The World Wide Revolution also brought the band back to South America for the first time in 7 years, as well as Japan (last time was 2005) and Greece (last time 1997), as well as new cities like Melbourne, Taipei and Hong Kong. The supremely successful tour ended with a bang, with another trip on the 70,000 Tons of Metal cruise of the caribbean and a second show in Mexico city in 2 years. 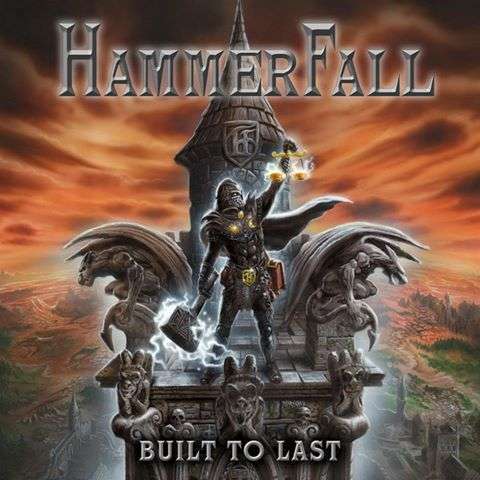 Sometimes hailed as the leaders of the new heavy metal movement, HammerFall is currently in the studio to record a new, solid piece of steel. Being faithful to Nuclear Blast Records since day one, it was now time to explore the future together with Austrian upstart label Napalm Records, where the band’s 10th studio effort in 20 years will be released on November 4th, 2016.